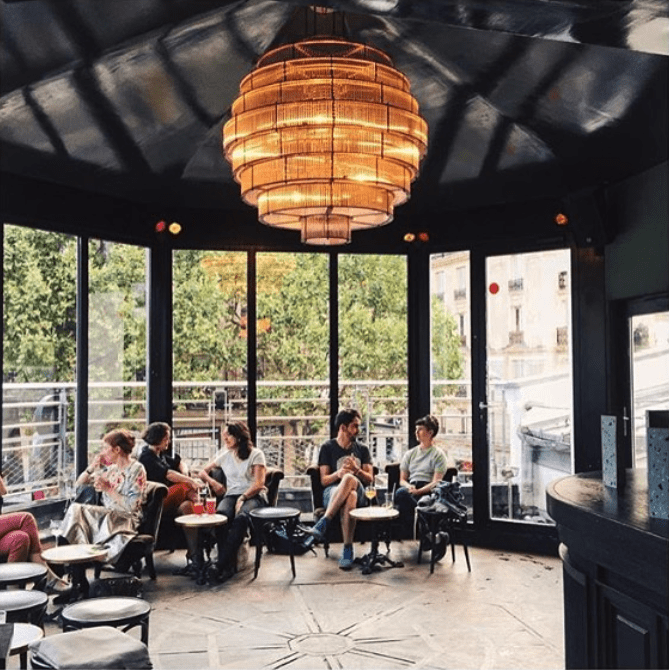 Looking for more local spots in Paris? 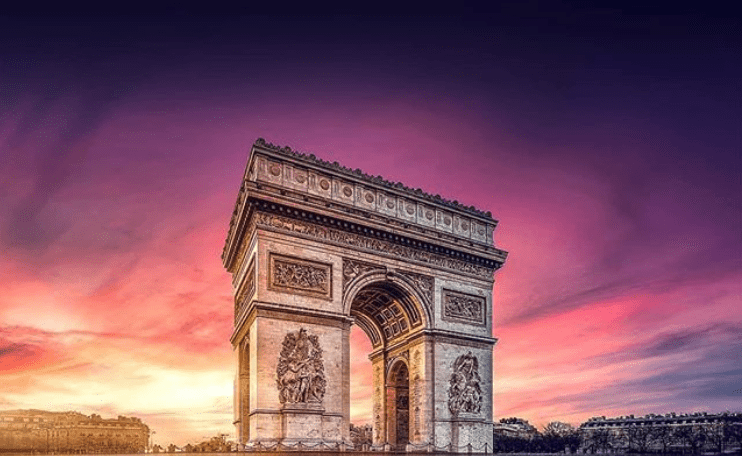 Make sure you get yourself a copy of our 2019 INSIDR Free Paris Travel Guides! Very few city skylines are as instantly recognizable or as breathtaking as Paris’. The Parisian cityscape has inspired French and international artists alike since the 15th century and is perhaps the most Instagram worthy view in the world. 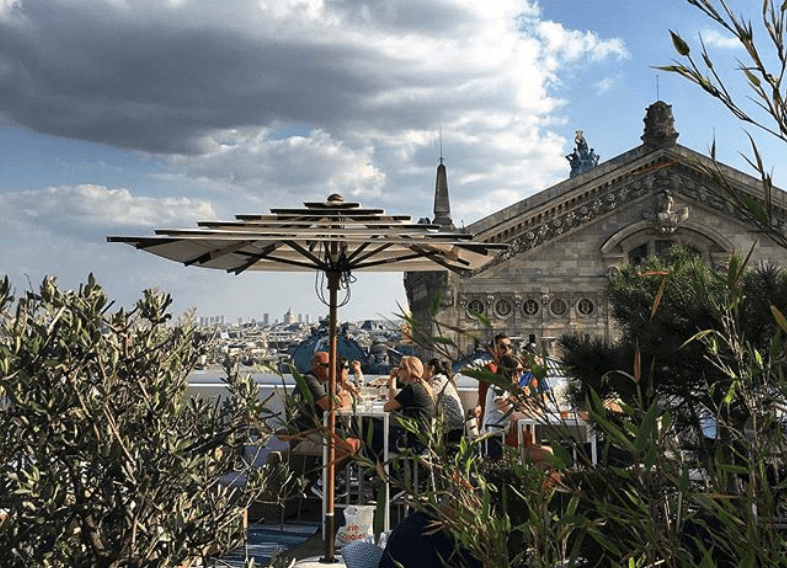 The zinc-covered UNESCO world heritage Paris rooftops have dusted themselves off recently to become some of the most happening spots in the city. With a cocktail in hand, and a loved one by your side, there is no better way to end an evening in Paris than on one of the Paris rooftops, especially after a romantic dinner in the City of Love. 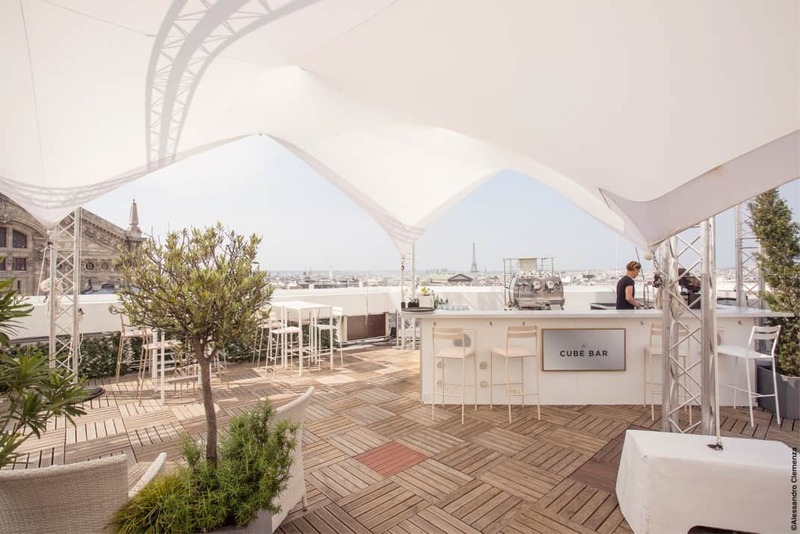 Being able to take in the breathtaking views of the Paris skyline, these Paris rooftops hangs have become just as popular than the recent trend of hidden cocktail bars! Discover the city’s most famous monuments, Eiffel Tower included, from a totally new angle. You might find the Parisian roofs difficult to see from the sidewalks, or overshadowed by the impressive façades they sit upon. 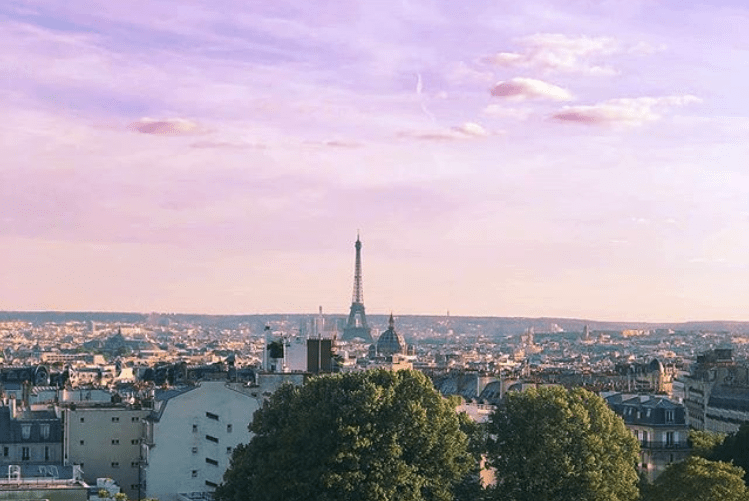 We’ve put together a guide on the best Paris rooftops and spots to enjoy Paris from above – from romantic, historical to the best sunset view. Looking to snag that postcard-perfect panoramic view of Paris during your travels? Atop the Eiffel Tower is of course a classic location, but also the highest point in Paris and provides a great angle of the city from above. The Tour Montparnasse is another option for snapping a photo of the city. If you’re looking for more Instagram worthy snapshots of the City of Lights, we’ve got just what you need. There is nothing like that final evening glow to mark the end of another lovely day in Paris. The sunset is always pretty, but in Paris, it’s simply magical. Pont Alexandre III, often described as the most beautiful bridge in the world, is easily one of the best places to watch the sunset in the city. With views of both the Eiffel Tower and La Defense, head to the top of the Arc de Triomphe for a lovely view. The Arc closes at 11 PM but there are often lines, so make sure to queue up early enough. The modern Centre Georges Pompidou is surrounded by typical Parisian Haussmann architecture. It’s home to one of the best Paris rooftops in Paris and an ideal location to catch the sunset. Finally, for an extra dose of romance, watch the nightfall from the Sacré Coeur hill in Montmartre. The City of Love, Paris is undeniably romantic. The opportunities for romance are endless, however, you simply can’t beat a glamorous view of the city from above. For the most romantic dinner view of Paris, head to Les Ombres or the Maison Blanche. These gourmet restaurants combine luxurious cuisine with a breathtaking glimpse of the Parisian skyline. If drinks are more your style, we suggest one of Paris’ hidden cocktail bars or Paris rooftops. Nothing says romance quite like a glass of champagne with a sunset view of the Eiffel Tower. The Montmartre neighborhood is the embodiment of Parisian charm. Saying “Je t’aime” from the Sacré Coeur hilltop view is a moment you’re sure to remember forever. Finally, for one of the most romantic panoramic views of the city, head to the remarkable Parc de Saint Cloud. Most of Paris rooftops and terraces are only open for a few weeks during the summer. Luckily, the Galeries Lafayette rooftop is open year round. No matter the season, stop by for a drink or more, this rooftop has much more than meets the eye. There is a secret rooftop garden that spans 1,000 square meters with 150 different types of plants and flowers. Created just 3 years ago, the garden has produced over 800 kg of strawberries. There are even rooftop beehives for honey made in the heart of Paris! If you want to explore this garden of Eden, you’ll need to book one of the weekly tours to enjoy picking fresh fruit and taste all of the delicious, secret Made in Paris products. 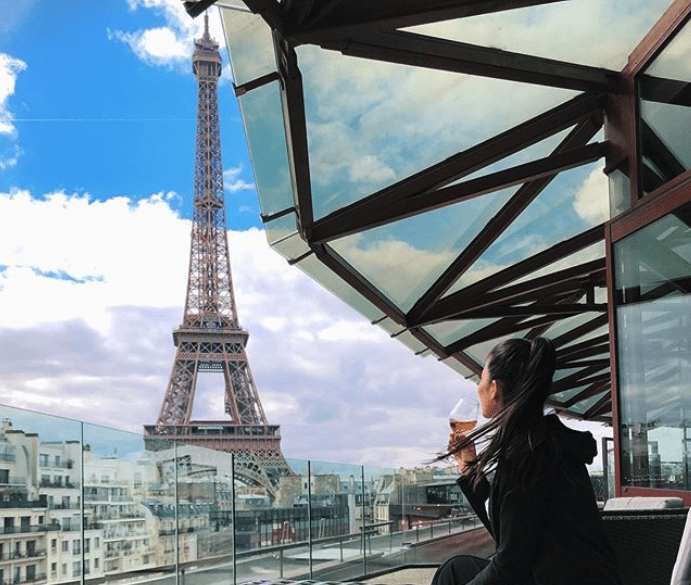 The Galeries Lafayette rooftop terrace is without a doubt the best spot for a relaxing break while out on a shopping spree in the Saint Lazare neighborhood. There is something special going on all year round. From summer yoga classes to private fashion shows during fashion week to a Christmas themed iced bar with fresh oysters during the holiday season. The terrace is open year round but in constant transformation and always has something new going on. Definitely a must-visit each time you’re in Paris! Paris’ rich cultural history is widely known. However, did you also know that Paris is one of the leading tech capitals of the world? The city’s cultural and technological prowess are combined in the Timescope. 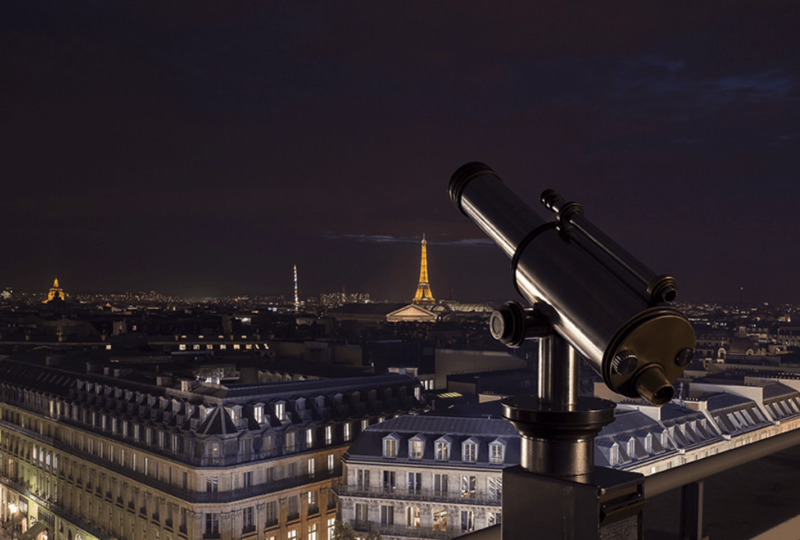 The VR time-capsule telescope allows you to travel through time and experience first-hand the history of the Parisian skyline. Located on the roof of the Galeries Lafayette, this free activity is fun for all but especially great to do with the kids. There is a second Timescope near Hotel de Ville but it can’t compare to the one on the rooftop! 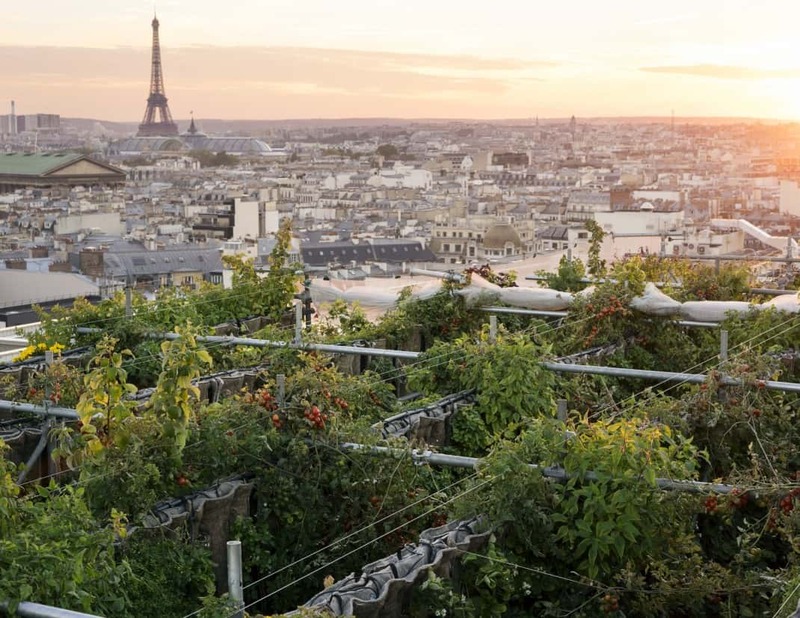 In the spirit of reclaiming mythical Paris rooftops, rooftop bars have become hugely popular in the past five years. Le Perchoir is an institution in the Paris rooftops scene. There are three locations in Paris: the Marais, the trendy Oberkampf neighborhood and on top of Gare de l’est. 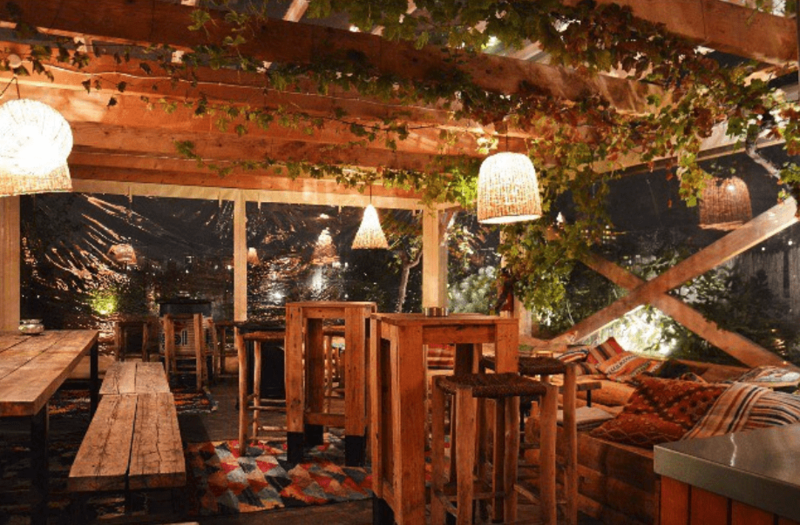 All three locations feature bohemian chic vibes and 360 degree panoramic views of the city. The cocktails are outstanding and there really is no better view than Paris from above to enjoy a nice evening. For more of our favorite Paris rooftops, check out our dedicated article. 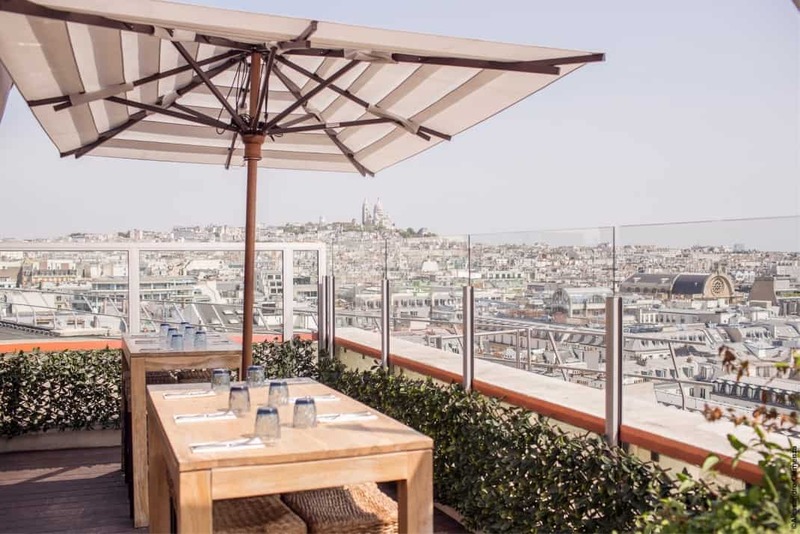 The rooftop bar of Le Terrass’ Hotel is ideally located in Montmartre for the perfect view of Paris. Enjoy head-on views of the Eiffel Tower in the elegant atmosphere. The bar is open from Noon until Midnight, seven days a week. The chief mixologist has concocted 16 delicious and unique cocktails. Our personal favorite is the “à la Française” with Calvados, ginger beer, cucumber, lavender and fresh lemon juice for a delightfully sweet tang. We’re not sure what’s more enjoyable – the drinks or the view. If you answered drinks, make sure to check out our guide to Paris’ best hidden cocktail bars. The brainchild of world-renowned architect Philip Starck, Mama Shelter is one of Paris’ most beloved concept hotels. 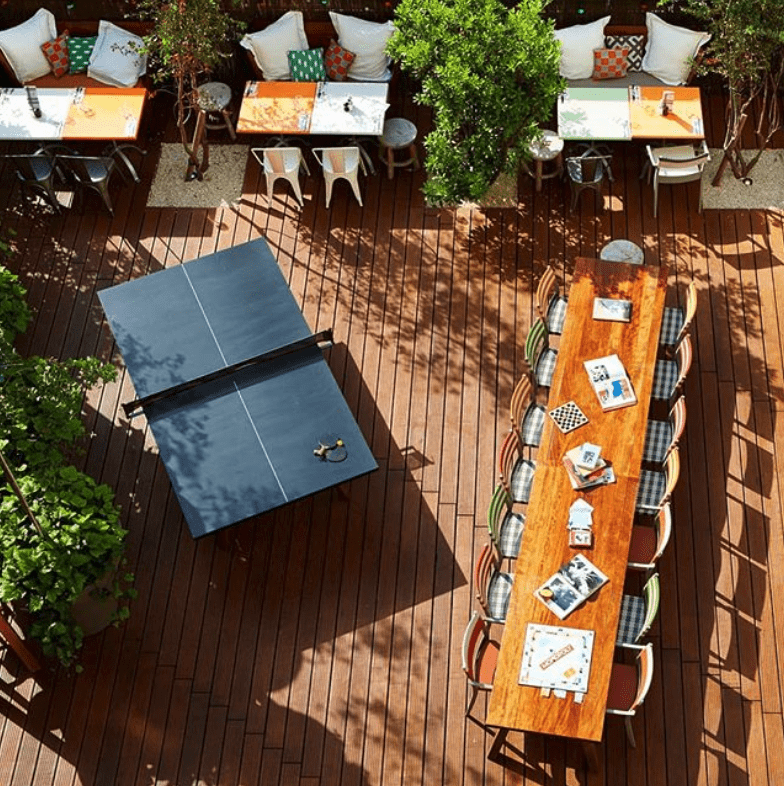 The recent addition of a rooftop bar and eatery has only deepened Parisian love for Mama Shelter. The rooftop features soft, cozy lighting, comfy sofas and a chic yet laid back atmosphere. The only drawback is that it’s only open on Sundays, but that makes it one of our favorite Sunday activities in Paris. The drinks and food are just like every other aspect of the hotel, absolutely impeccable. Wanderlust is dedicated to fashion and design by day and turns into one of Paris’ most popular clubs by night. The massive 1,600 square meter terrace is perfect for dancing the night away under the stars. Wanderlust opened its doors just two years ago and has since made a name for itself among the younger Parisian crowd. 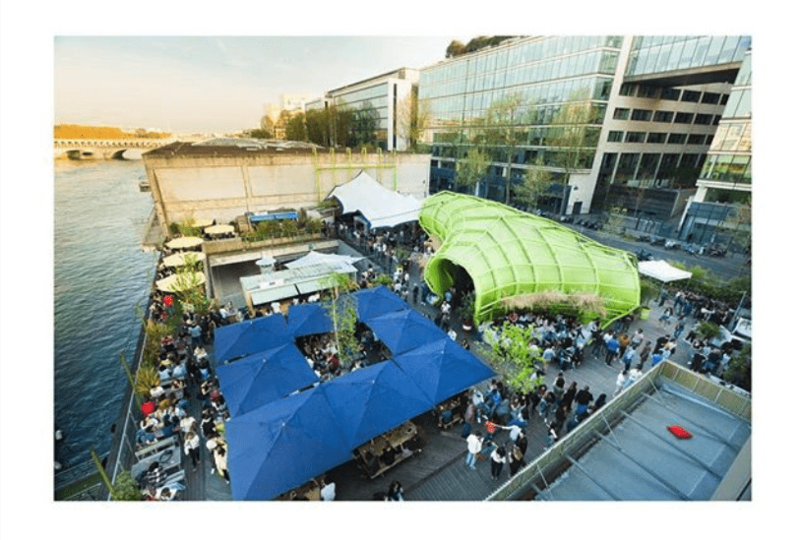 Located on the banks of the Seine river, along the Quai d’Austerlitz, enjoy views of the water while sipping on a delicious cocktails. They have an excellent sound system as well as weekly guest DJ sets. 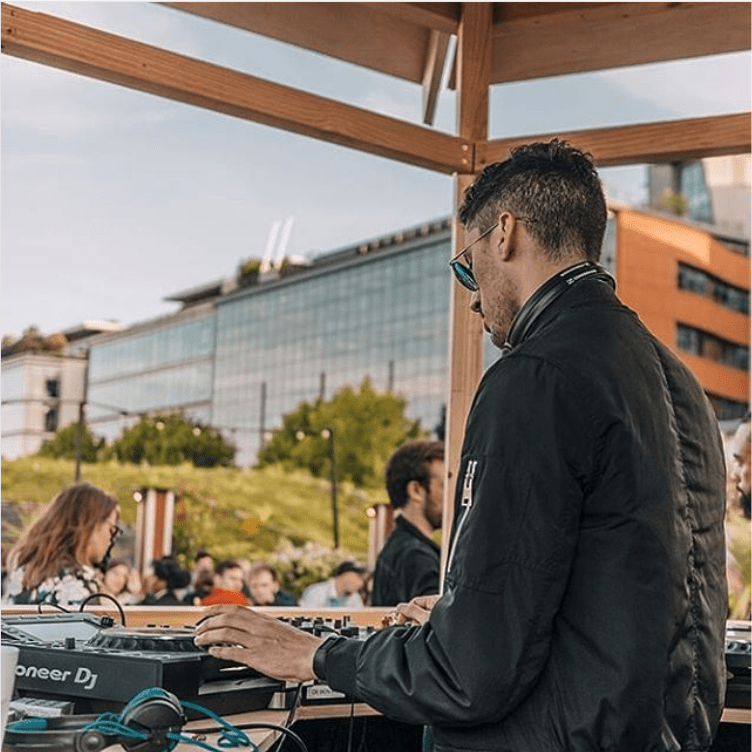 Debonair, formerly known as Nüba or Communion, is one of the most well-known Paris rooftops. It’s definitely one of our favorite summer spots. They organize fun and original “apéritifs” (evening drinks) frequently. Located within the City of Fashion and Design, you’re sure to notice that the Debonair crowd is well-dressed, sporting fashion-forward looks. Hit the dance floor during the DJ set and enjoy the breathtaking view of Paris while showing off your moves. The on-site restaurant serves up delicious pizzas and burgers to keep you going all evening!